Created for today’s bass players who demand rock-solid bass tone, the Celestion PULSE12 delivers the ideal combination of rumbling lows with a rich, warm mid-range and a detailed, zingy top-end. The PULSE12 impulse response files were captured by the same team of sound engineers with the same meticulous recording techniques that were used to create our range of best-selling guitar speaker IRs. 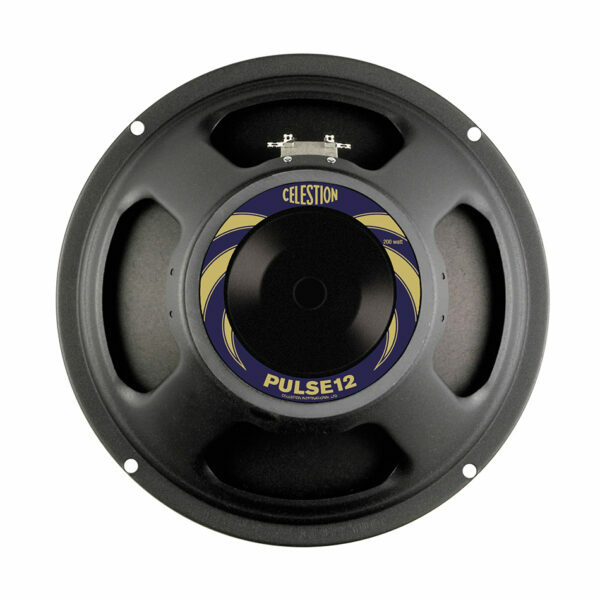 Available now in digital form, the PULSE12 is the latest addition to our range of Bass speaker IRs. The Celestion PULSE12 Bass Bundle includes: 1×12 cabinet configuration IR files, together with our new ‘Playing Style’ mixes which have been optimised for a variety of different playing techniques: Finger basic, Finger warmth detail, Plectrum (Pick) basic, Plectrum (Pick) aggressive and Slap.